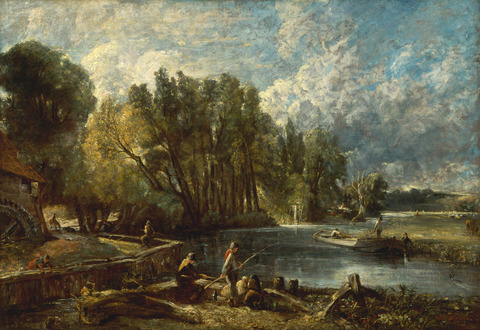 On Sat., Nov. 19, we spent the morning looking at John Constable’s 6-foot painting of Stratford Mill in the gallery. 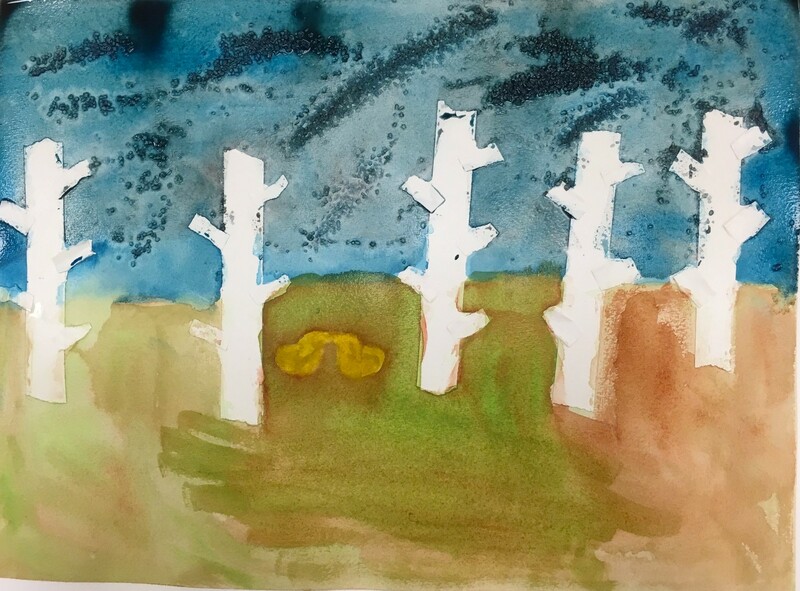 We looked at how he painted the sky and foliage as well as how he moved his brush with paint in his “Cloud Studies” before making our own 3D creation while sitting in front of the artwork. Next, we made our own landscape paintings in the class room. We used brushes and aluminum foil to create marks on our paper. Happy holidays to all and we look forward to seeing you on Saturday, Feb. 18 for the first Exploring Artism of 2017. October Exploring Artism is near! 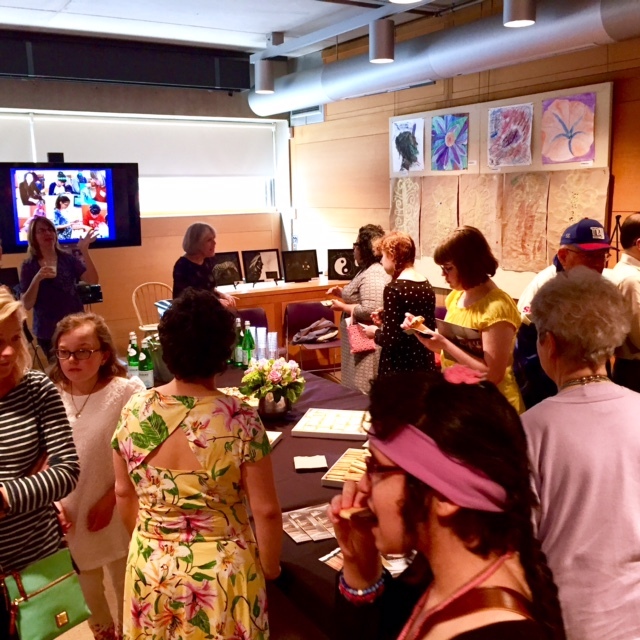 Saturday, October 15 is on its way and we want to remind you to register for the Center’s Exploring Artism program from 10:30am-noon. 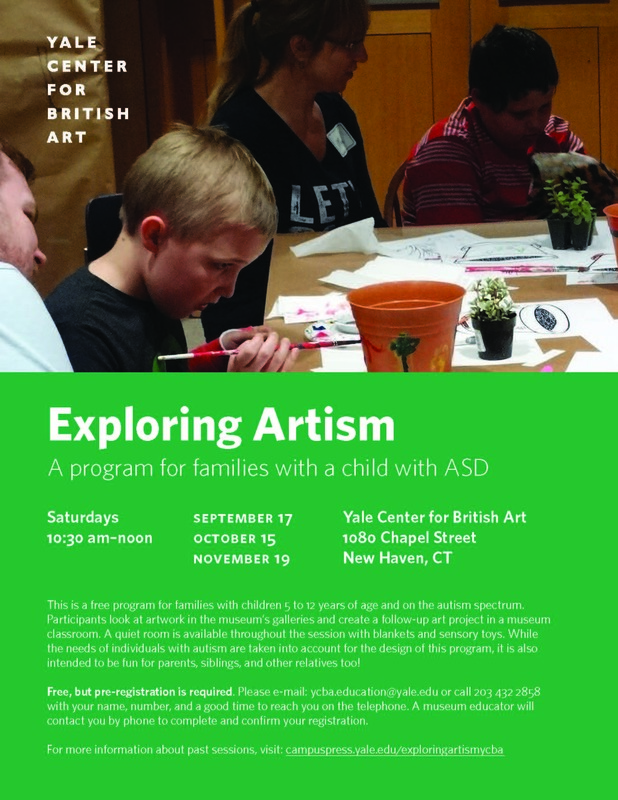 Please email ycba.education@yale.edu or phone 203.432.2858 for more information or to register. 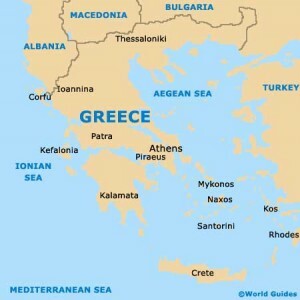 We can’t wait to see you at the Center! See you Sat., Oct. 15! 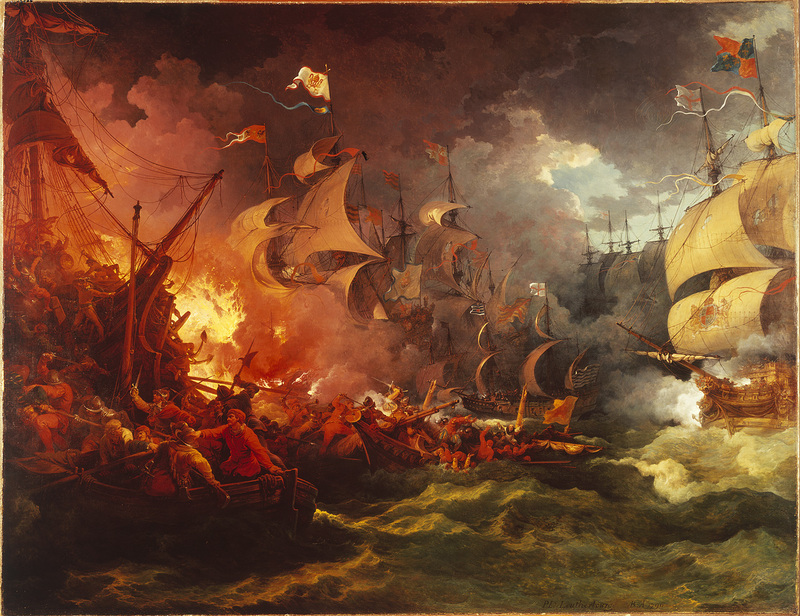 Philippe-Jacques de Loutherbourg’s oil painting, The Glorious Defeat of the Spanish Armada. 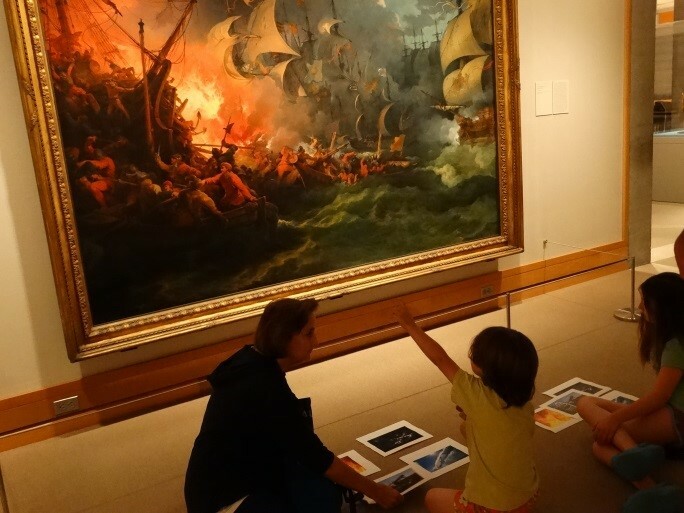 The Center’s September 17 Exploring Artism focused on all types of boats and how they interact with each other on the high seas. 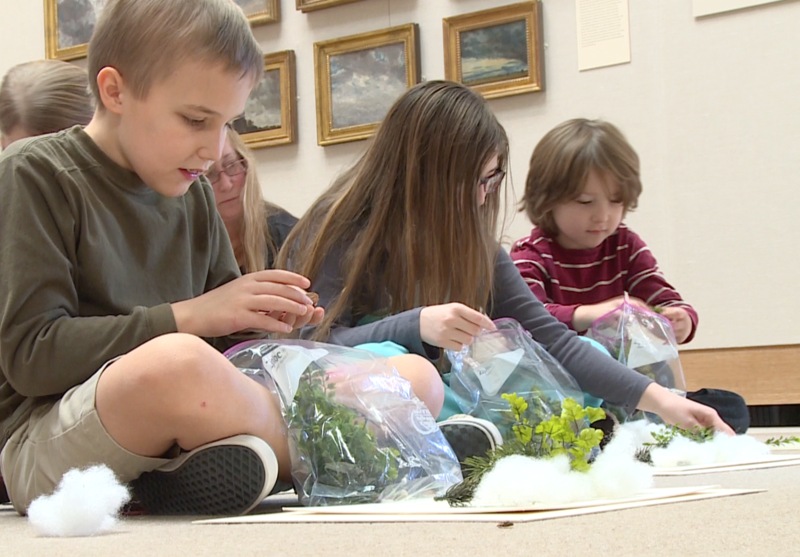 We looked at paintings from the Center’s Special Exhibition Spreading Canvas: Eighteenth-Century British Marine Painting and used what we learned to build and decorate our own model boats. 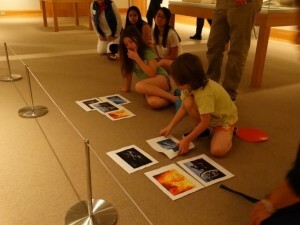 First, everyone met in the Docent Room to look at pictures of different types of boats. 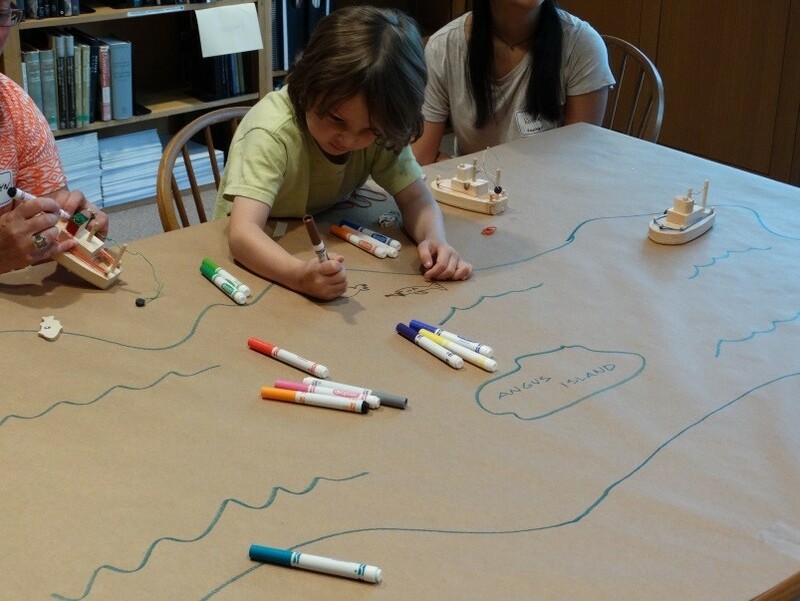 Participants shared stories and experiences they have had on sailboats, canoes, rowboats and motorboats. 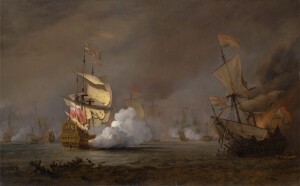 We also discussed what other things one might find on a large boat, like cannons and flags! Next we went upstairs to look at Philippe-Jacques de Loutherbourg’s oil painting, The Glorious Defeat of the Spanish Armada. In this painting, we saw a number of large ships very close together, lots of people on smaller rowboats and a large fire! Using what we saw in the painting, we discussed the different reasons two ships might sail that close to one another, and why one of the ships was on fire. We also talked about the meaning of the flags we saw at the top of the ships and how important it is for ships to use those flags to tell other ships where they’re from. Creating a sequence of events from the painting. After looking at the painting, we went downstairs to build our own boats! 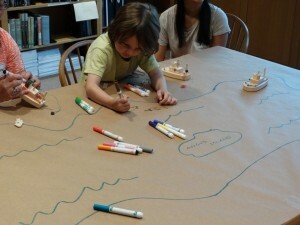 Using small wooden pieces that fit into one another, participants were able to create boats that could then “sail” around the sea we had drawn on the table. 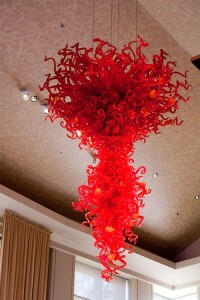 We look forward to seeing you at our Oct. 15 Exploring Artism!!! 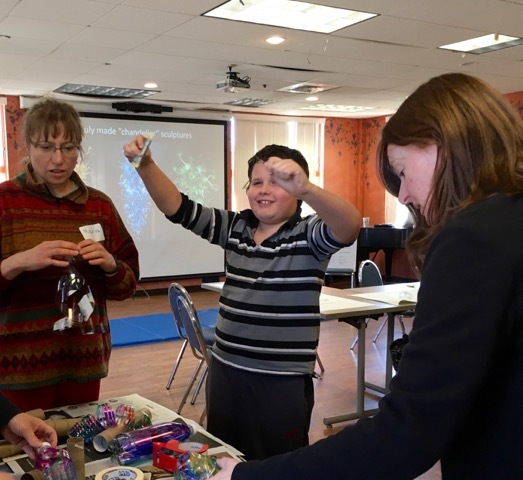 Please register for our Saturday, Sept. 17 program! Space is limited and we are excited to be back at the Center. For more information or to register a child, contact Education ycba.tours@yale.edu or call +1 203 432 2858 with your name, number, and a good time to reach you. We are excited to start a new semester. See you Sat., Sept. 17! 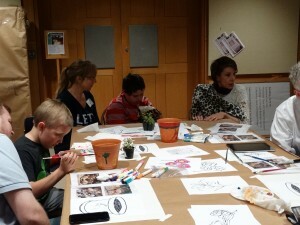 Parents and children painting flower pots around a table. 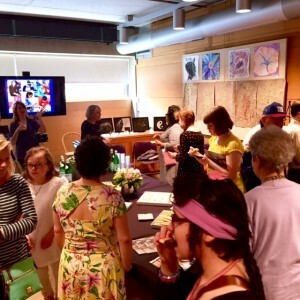 The June 18 Exploring Artism focused on a new art form – designing and painting a flower pot! 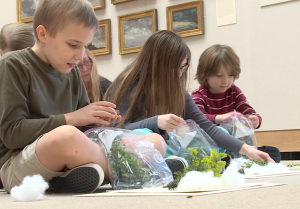 Participants learned about the Royal Horticultural Society’s annual Chelsea Flower Show and saw a lot of pictures of flower creations. 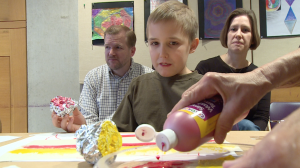 Next we learned that the flower show inspired an art gallery owner to ask 58 artists to paint a flower pot. The Center has the flower pot that John Craxton painted and we looked at it together in the galleries. Participant designing his flower pot. First, everyone looked at John Craxton’s Goats and Flowers painting and discussed the colors and shapes. 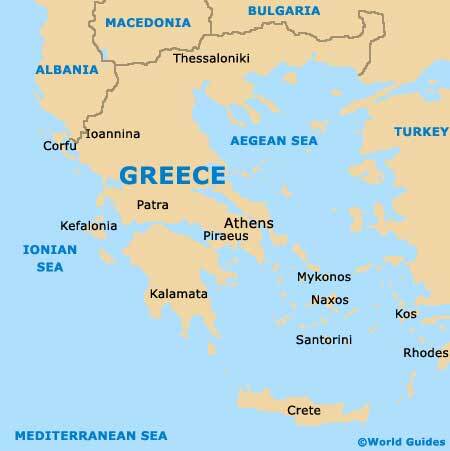 We then looked at Craxton’s Cretan Cats Flower Pot where they found and learned about kri-kri, cretan cats, and the island of Crete, the island where Craxton was living at the time he painted the flower pot. 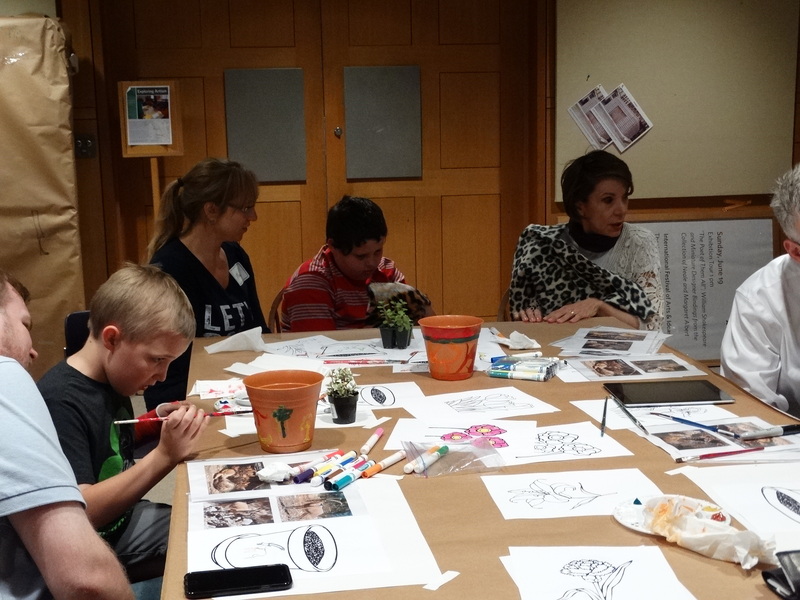 Inspired by Crete’s wildlife as seen in Craxton’s works, everyone painted their very own flowerpot. 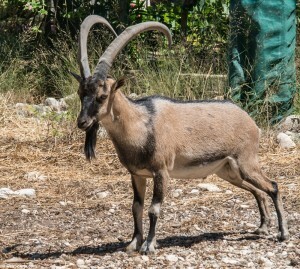 Kri-kri is a type of wild goat that lives on the island of Crete. 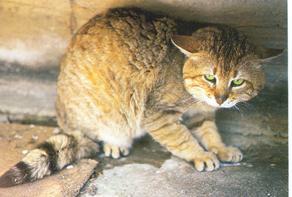 Cretan wildcats live on the island and are not friendly with people. 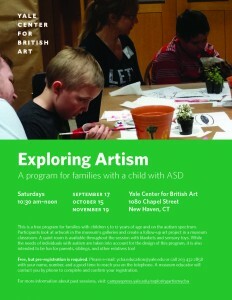 The next Exploring Artism at the YCBA is schedule for Saturday, Sept. 17. We hope everyone has a fun and relaxing summer! 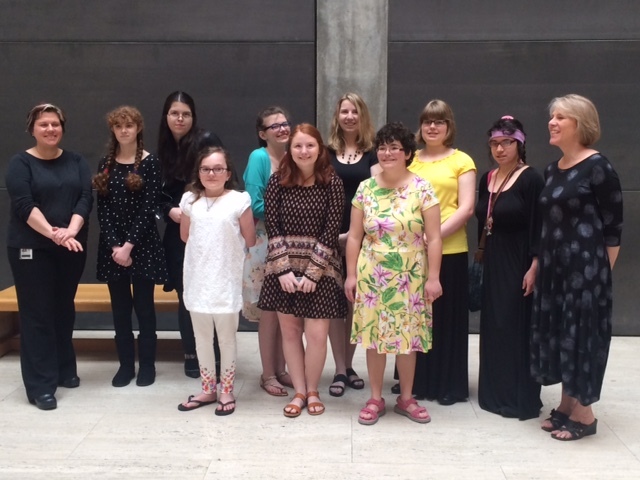 Congratulations to the Artworxx artists for the success of their first showing of original artwork at the Yale Center for British Art’s Docent Room from May 15 -22. 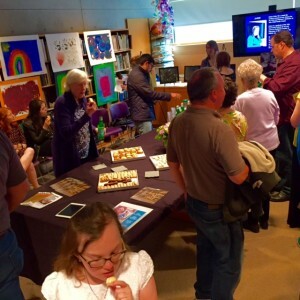 Over 250 people visited their “exhibition” throughout the week and the opening reception saw hundreds of friends, family, and museum visitors. 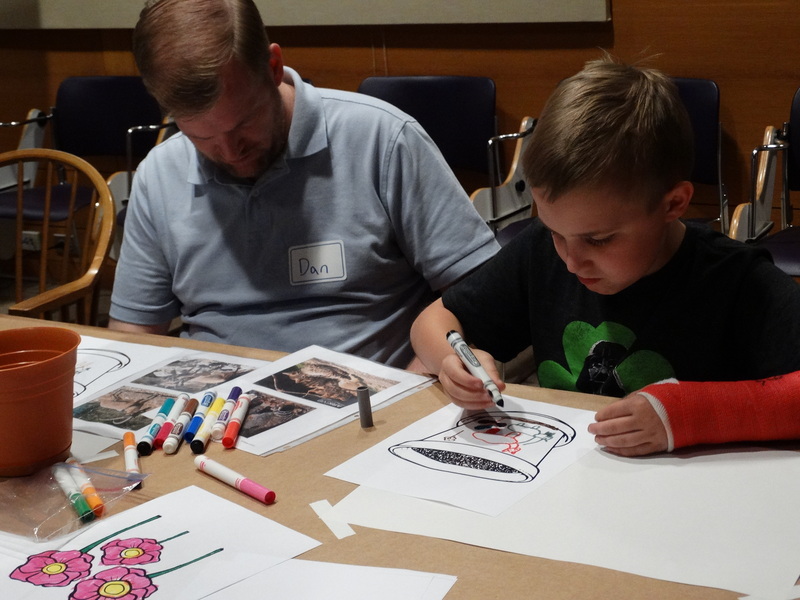 Everyone is looking forward to creating more original artwork inspired by the Center’s collections later this summer and fall. To learn more about the Initiative for Girls and Women with Autism Spectrum Disorders at the Yale Child Study Center, supported by a gift from Marilyn and Jim Simons, click here. The program flyer can be found in the link below. 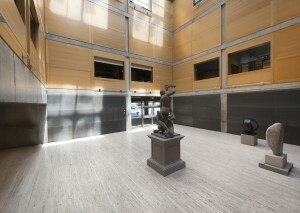 Entrance Court -We can’t wait to see you walk through the doors! Exploring Artism is at the Yale Center for British Art beginning this Saturday, May 21 at 10:30am. We look forward to welcoming you back to our Center! 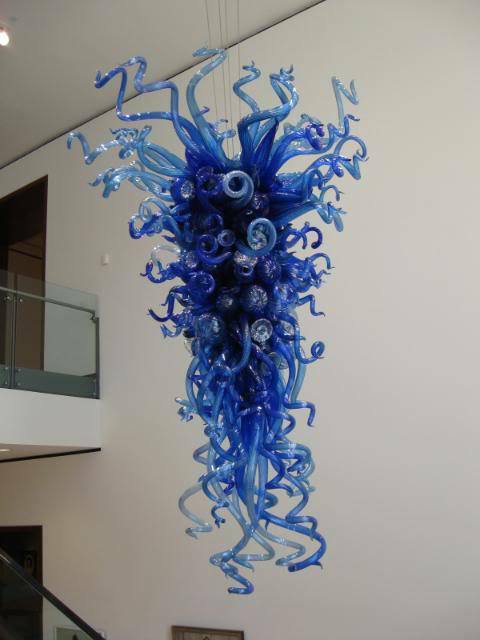 Blue and Beyond Blue, 2006. 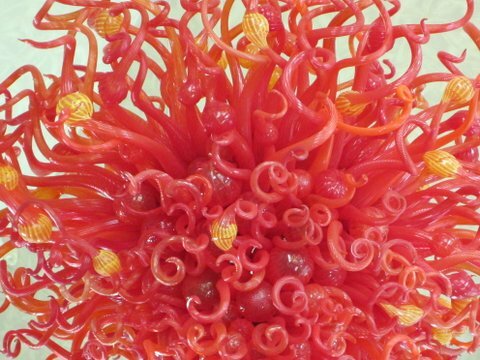 April’s Exploring Artism took inspiration from Dale Chihuly and his “Chandelier” artworks in Connecticut. 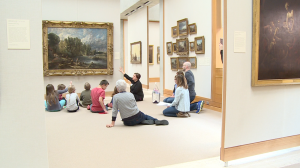 Participants looked at Chilhuly’s pieces and focused on his “Ode to Joy” at The Bushnell Center for the Performing Arts in Hartford and “Blue and Beyond Blue” at the New Britain Museum of American Art. Detail: Ode to Joy, 2002. 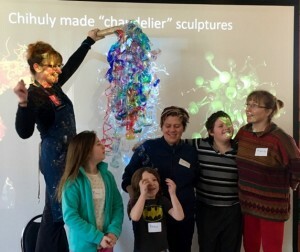 After learning about Chihuly’s process and looking at details of his works, participants began to make their own “Chihuly Chandelier.” There was one major difference from Chihuly’s process– we made our artwork from plastic not glass! 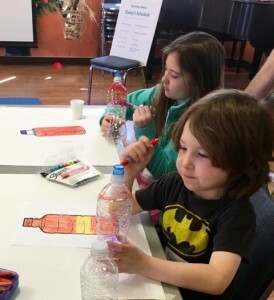 Coloring our bottles with permanent marker. Participants and family members colored disposable plastic bottles with permanent markers. 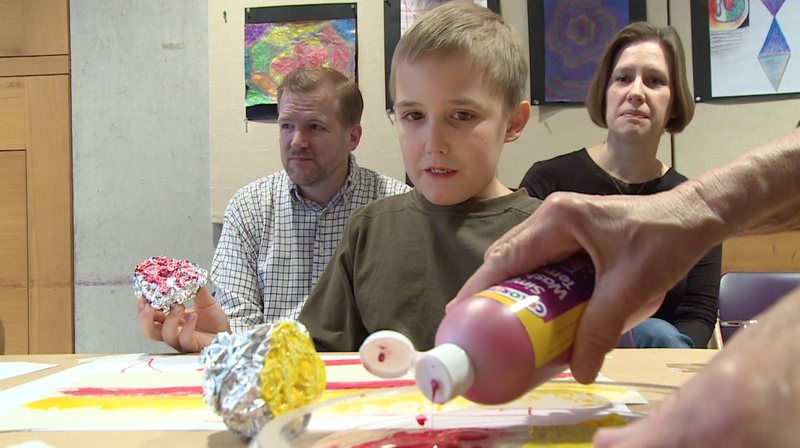 Next, each person cut their colored bottle, some in swirl shapes and others in straight shapes. Cutting the colored plastic bottles. 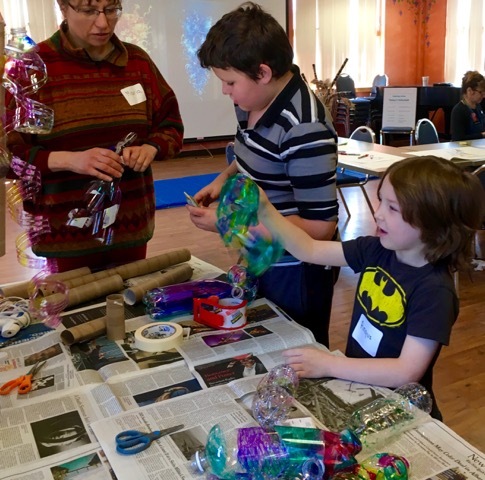 We connected the bottles to a hole-punched, cardboard, paper towel roll with thin gauge craft wire. 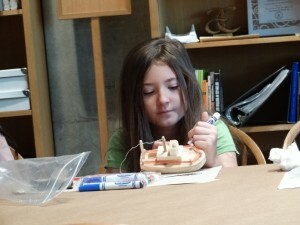 Alex helps measure the craft wire for each piece. 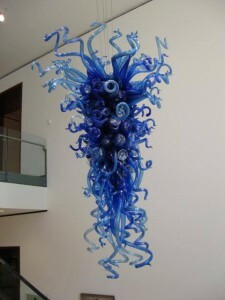 After connecting all of our pieces together, we admired our work. 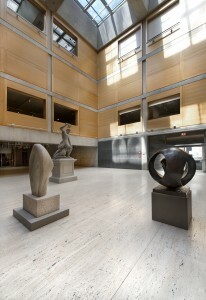 The final piece will be on display in the Center’s Docent Room during opening week events. Taking a moment to enjoy our finished Chihuly-inspired artwork. The April 16 Exploring Artism session was the last session to be held at Chapel Haven. We want to send a big “Thank you” to Tina and the Chapel Haven community for hosting our program during the Center’s building conservation. 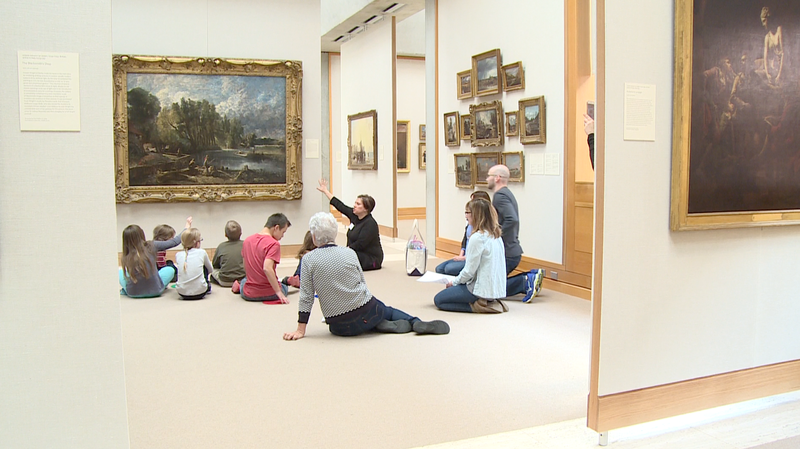 Our next session of Exploring Artism will be Saturday, May 21 and we will meet at the Yale Center for British Art, 1080 Chapel Street, Downtown New Haven. We can’t wait to see you there.